BRDB said in November last year that it was postponing the tender exercise for the Bangsar Shopping Centre and three other properties. PETALING JAYA: Bandar Raya Developments Bhd (BRDB) has until the end of the month to say whether it is going ahead with the proposed sale of four of its properties or risk a query from the stock exchange, according to sources. 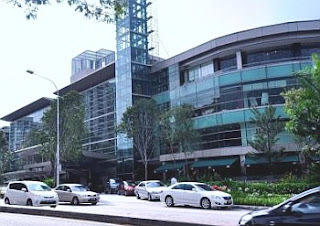 The Klang Valley-based developer had said in an announcement to Bursa Malaysia on Nov 22, 2011 that it was postponing the tender exercise for the properties Bangsar Shopping Centre, Menara BRDB, CapSquare Retail Centre and Permas Jusco Mall to the first quarter of this year. Since no subsequent announcements were made about the tender, the company has to provide an update to investors by end-March, as per its own deadline. In the November filing, BRDB had also stated that Ambang Sehati Sdn Bhd, its second largest shareholder, could raise its stake in the company, an exercise that may or may not result in a general offer. Ambang Sehati, which has a 18.9% stake in BRDB, was the party that first proposed to acquire the four assets in a related-party transaction for RM914mil, before stiff opposition from minority shareholders forced the BRDB board to opt for an open tender instead. Ambang Sehati is the private investment vehicle of Datuk Mohamed Moiz Jabir Mohamed Ali Moiz, BRDB's chairman. However, what may be of more interest is the identity of the owner or owners behind a 23.6% block of shares in BRDB held in an omnibus account by Credit Suisse. The ownership of this stake is crucial, the Minority Shareholder Watchdog Group has pointed out, as it could be the deciding factor in whether the proposed sale gets the green light from shareholders. This is on the basis that the 23.6% block amounts to 30% of total disinterested shareholders of BRDB, and in turn may comprise 50% of the votes of shareholders who actually turn up to vote on the matter. The sale would only require a simple majority to be passed. Under Section 69(0)(8) of the Companies Act, Bursa Malaysia and the Securities Commission (SC) have the power to direct companies to disclose the identity of the beneficial owners of substantial blocks of shares in the company. The act also empowers the affected issuer itself, in this case BRDB, to request for details on the beneficial owners from a trustee, in this case Credit Suisse. Be that as it may, sources told StarBiz that BRDB might have hit a wall in trying to determine the owner of the block of shares. One of the sources, who requested anonymity because of the sensitivity of the matter, said this was because the block was held in offshore accounts by Credit Suisse's Singaporean and Swiss associates, whose banking secrecy laws prevented the disclosure of information on account holders. A BRDB spokesman also confirmed in an email to StarBiz that the company had done its part to ascertain the owner of the block of shares but cannot probe further due to the legal limitations. Nonetheless, there would be no need to complete the task if the proposed sale falls through, which is the likely scenario, a source added. BRDB had also said last year it would appoint an independent valuer to evaluate its assets for the proposed sale, but it has yet to make another announcement regarding this. Ambang Sehati had originally proposed to acquire the four assets to enable BRDB to “monetise these assets and achieve a more efficient utilisation of its capital", adding that the latter's shares have been trading at a significant discount to its net asset value. BRDB shares closed four sen higher last Friday at RM2.34, which was a 36.4% discount to its net assets per share of RM3.68 as at Dec 31, 2011. For its financial year ended Dec 31, 2011, the developer achieved a 20.8% increase in revenue to RM191.66mil from RM158.63mil in the previous corresponding period, and RM38.6mil in net profit, up 50.2% from RM25.71mil previously.